A week ago today I was sunning myself in a five-star resort in Turkey, gazing out over a mountain-lined coastline and only occasionally disturbing to reach down for my red ruby cocktail. Now, back at the dealchecker desk, with my grey London view, I am suffering from a serious case of post-holiday blues – and am already daydreaming off my next trip away. I do however have a sun-kissed tan (somewhat subjective) a collection of (unflattering) bikini photographs, plenty of stunning scenery pics and (most importantly) a week’s worth of great memories. 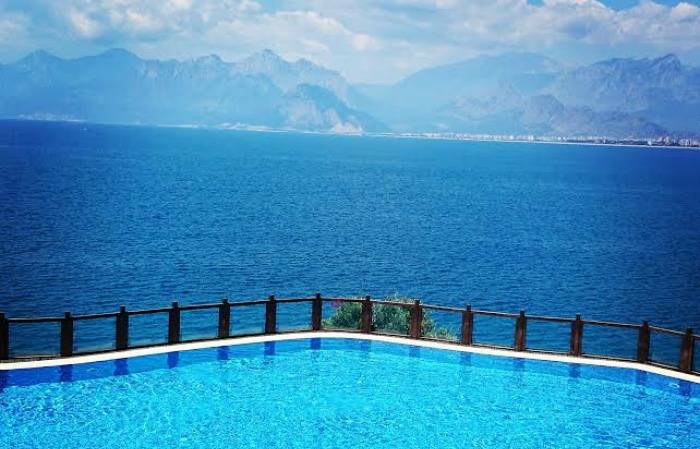 I was lucky enough to spend seven sun-soaked days (and a half-rainy day) in beautiful Antalya on the south coast of Turkey. As soon as we (my sister and I) left the airport I was struck by how modern this bustling Turkish city is! 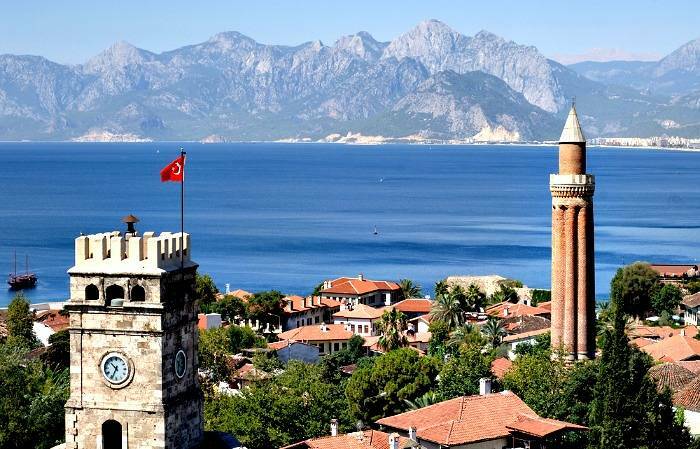 According to tourism officials this spot of Turkish coastline has seen a huge rise in tourism in the past decade. It’s also received the prestigious Blue Flag award and is home to 163 award-winning beaches out of 286 in Turkey – not bad huh? And with the high quality of the hotels, it’s not hard to see why tourists love it so much. We stayed at the 5* star Ramada Plaza Antalya, which, with a whopping 11 floors (not including the five that are underground) and an interesting architectural design, can be a bit overwhelming at first. However, this is soon put to bed once you enter inside and find plenty of private areas, incredible facilities (including a whole floor dedicated to a spa) a choice of three restaurants, snack areas, a British-style pub and an inviting chandelier-framed bar. It’s nothing short of impressive and definitely reached the standards we were hoping for! Now while Turkey is renowned for sunny weather, we did wake up mid-holiday to rain and cloudy skies, much to our disappointment! We therefore decided (instead of lounging by the pool and downing cocktails – gets very moreish) to head out to the nearby Old Town. And I was glad we did – as by the time we reached it, the skies had cleared and we were bathed in sunshine amidst dainty cobbled streets, pretty markets and sweet-smelling cafes. Instant mood lifter! We spent a couple of hours roaming and soaking up the atmosphere, before heading back for some (more) pool time. 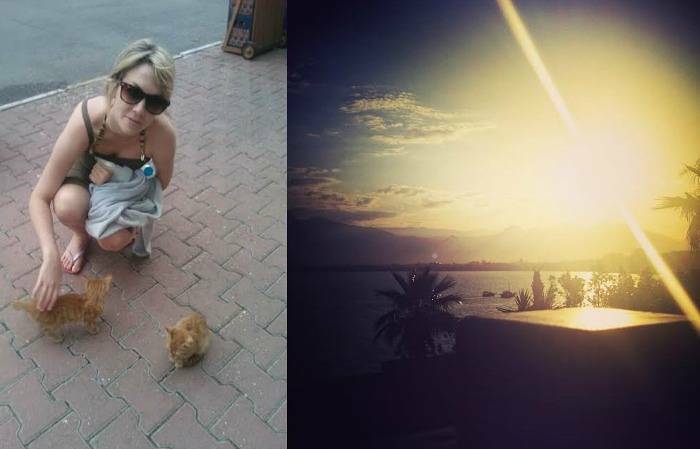 But, despite all this loveliness, in my opinion (feel free to call me a crazy cat lady) one of the best things about the hotel and its surrounds, was the fact that outside areas were filled to the brim with cats – really cute cats! This quickly resulted in stolen buffet food and regular feeding times. I wasn’t alone. The cats have got their puppy-dog (kitten-cat) eyes down to a T and along with desperate meows for attention, many a tourist soon succumbed to their demands. My absolute fave were a pair of friendly ginger kittens who I desperately wanted to take home with me! So as mentioned before, I am now back in London town (without kittens – boo) and spending my time seeking out dreamy holidays at bargain prices. It’s a recipe for restless feet and I know my next trip will HAVE to be just around the corner! If you too are feeling a serious case of wanderlust and deserve to give in, then this week we have an array of tempting travel deals at bargain prices! I’m desperately trying to restrain myself for a week or two. NOT EASY.